An unfortunate issue that plagued Vincennes in the early 1800’s was slavery. Although it was prohibited through the Northwest Ordinance of 1787, individuals were still enslaved in the Vincennes area. 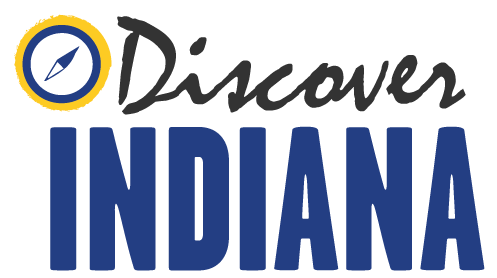 In addition, slavery was made possible by a system of indentured servitude where those bound to the system served anywhere from 10 to 99 years through Indiana Territory law. A particularly noteworthy case involved an enslaved woman named Mary Clark, who was purchased in Kentucky, but brought to Vincennes in 1815 and indentured as a servant. After serving for six years, she was freed through an Indiana Supreme Court case, which determined her indenture “as a slave” violated Indiana’s 1816 Constitution. In 2009, the Indiana Historical Bureau installed a marker memorializing Mark Clark at the entrance of the Knox County Courthouse. 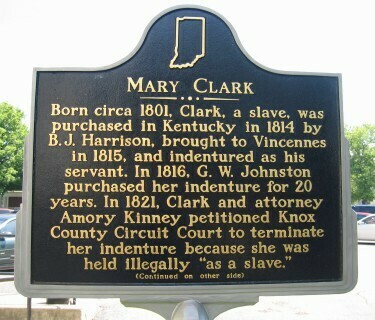 Indiana Division of Historic Preservation and Archaeology, “Mary Clark Historic Marker,” Discover Indiana, accessed April 25, 2019, https://publichistory.iupui.edu/items/show/361. Published on Feb 20, 2018. Last updated on Apr 2, 2019.